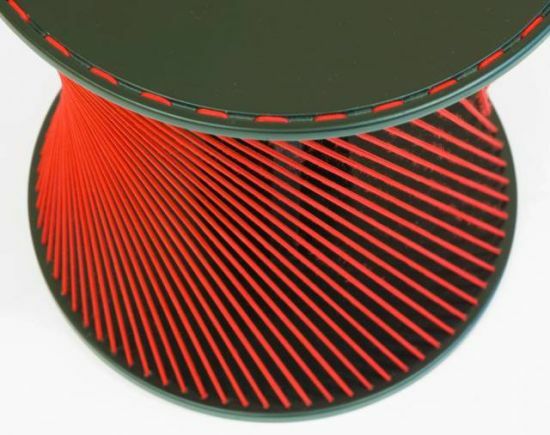 Presenting a unique combination of form and functionality, Salomonsen Design has come up with a seat called Playful Stool, with a moving seating surface that creates an unusual 3D movement with a 2-dimensional material. 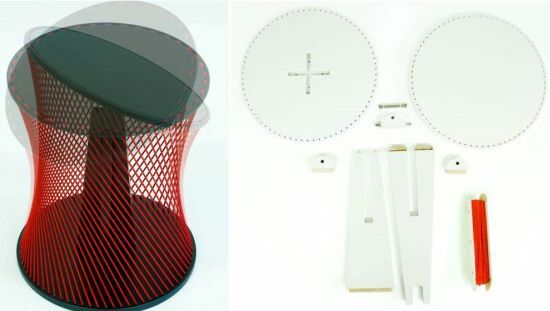 The 3D stool, measuring 370 mm in diameter and 440 mm high, features a main support in the middle (with an axis on the top) that creates the movement on the surface. The most interesting aspect of the stool is that it doesn’t require any screws or glue, for all the parts of the construction are put together by the elastic band around it, together with the weight of the person lying on the seat. 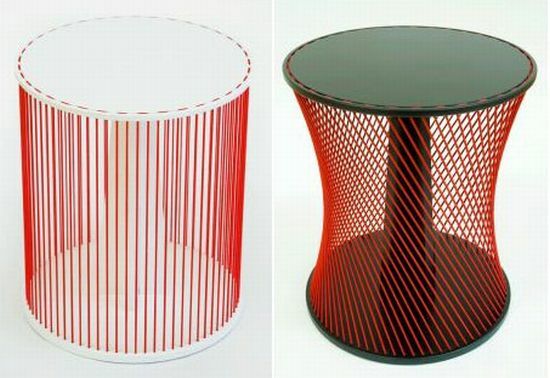 The red elastic lines generating a see through surface give an entirely different look to the furniture, while also letting the seat surface bounce back to its horizontal position when not in use.